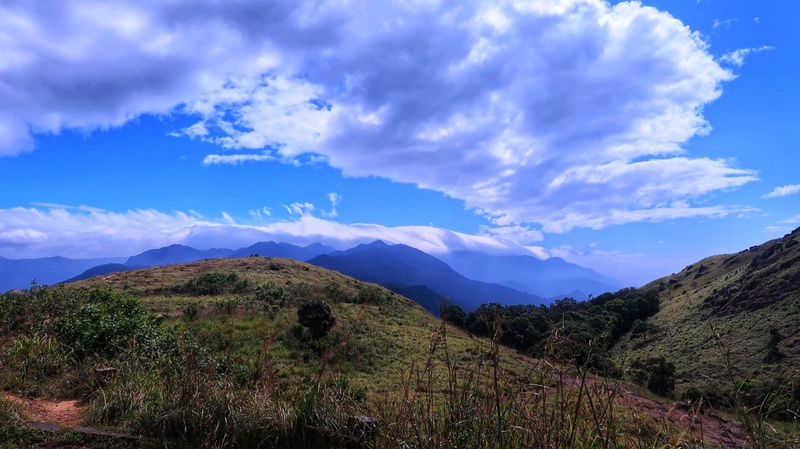 My quest for discovering interesting places brought me to Ponmudi. 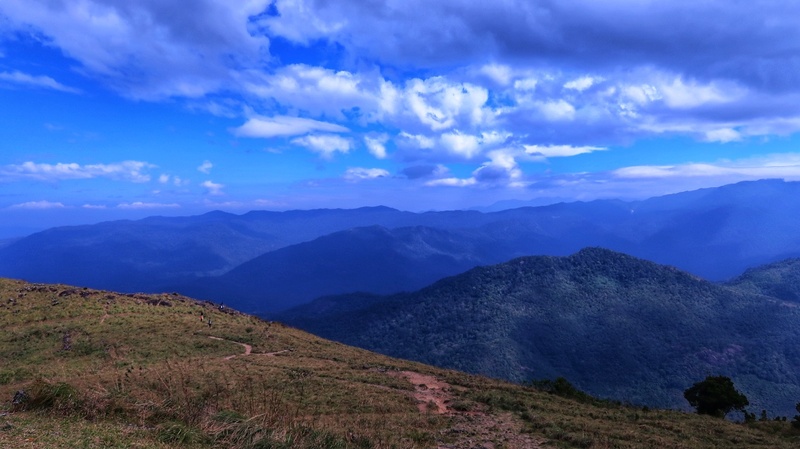 Ponmudi, a small hill station located approximately 65 kilometres away from Trivandrum will leave you wondering how marvellous Mother Nature can be. 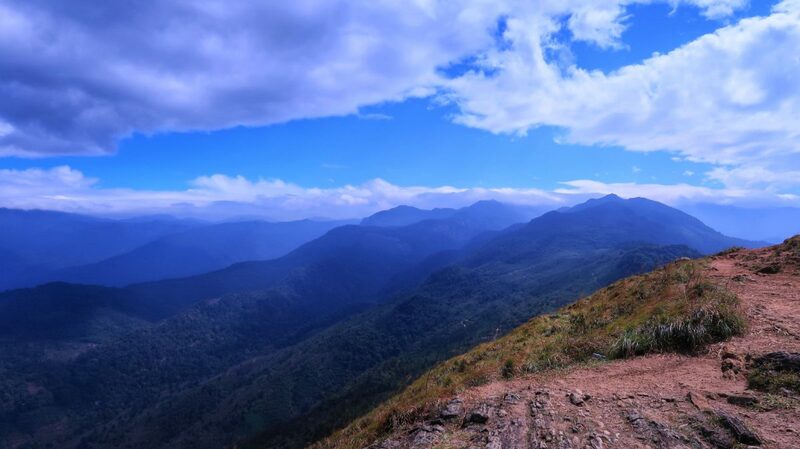 You think you have seen the best mountain ranges and then you visit Ponmudi and its awestruck views shake you out of your little imagination bubble. It is a popular escaping destination for people living in Trivandrum and thus tops the list of “One-day Trips from Trivandrum”. 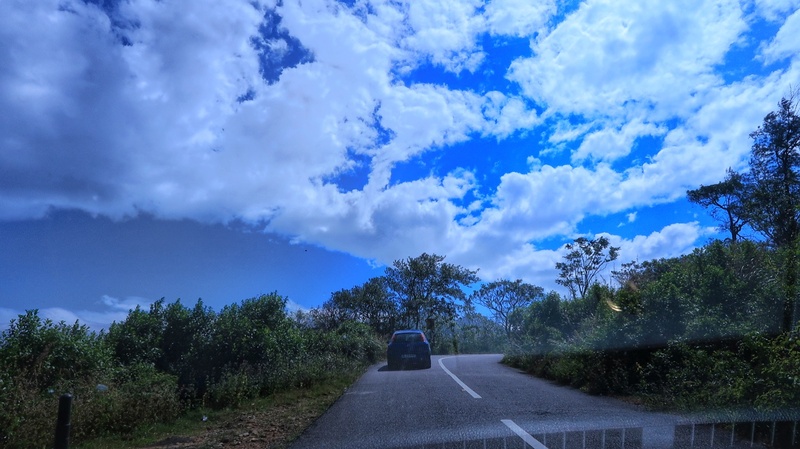 A visit to Ponmudi came highly recommended from a lot of people. And hence it easily made it to my “Things to do in Trivandrum” list. 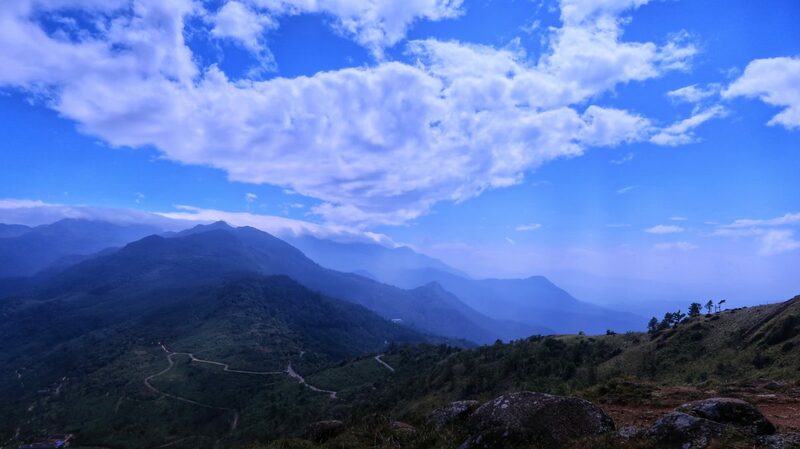 One full day was dedicated to the pristine beauty of Ponmudi. December is a good time to visit Ponmudi and I was all sorted in that context and I was there in December 2017. 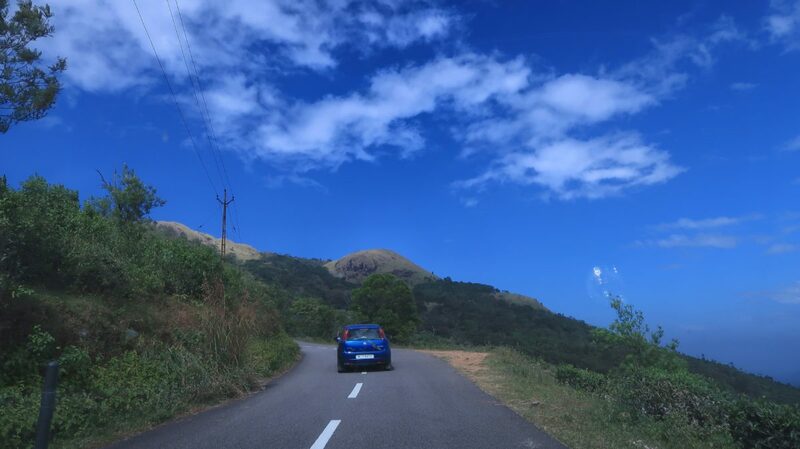 Ponmudi is connected to Trivandrum by a two-lane highway and the Journey to Ponmudi is butter smooth. The roads are dotted with palm trees and huge hoarding of various jewellery brands. Beautiful women clad in shiny silk sarees and intricate gold pieces of jewellery adorning the hoardings will make you wonder about the fascination with gold in the Southern part of the country. While there are buses plying regularly to Ponmudi from the main bus station of Trivandrum, I would advise you to hire your own vehicle for the journey. Reason being you can pace up or pace down the journey as per your wish. With views so enticing it is always a good idea to have your own control over the journey. After driving for around an hour I spotted the “Welcome to Ponmudi” inscribed over a small concrete wall. The Journey takes a thrilling turn thereafter. 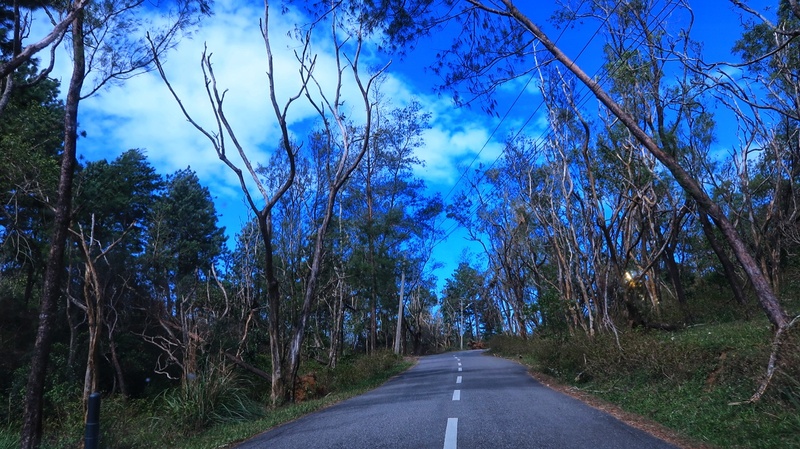 After this, you will have to navigate through twenty-two hairpin bends which not only make you sit straight but also awaken all your senses. The smooth roads continue, the greenery gets dense and the hairpin bends make you stick your eyes out waiting for the next one. My camera couldn’t rest at all. Every time I turn it off something spectacular used to come up and the camera was back in action. If you don’t believe me check this video out, it would attest all my claims around the natural beauty of Ponmudi. 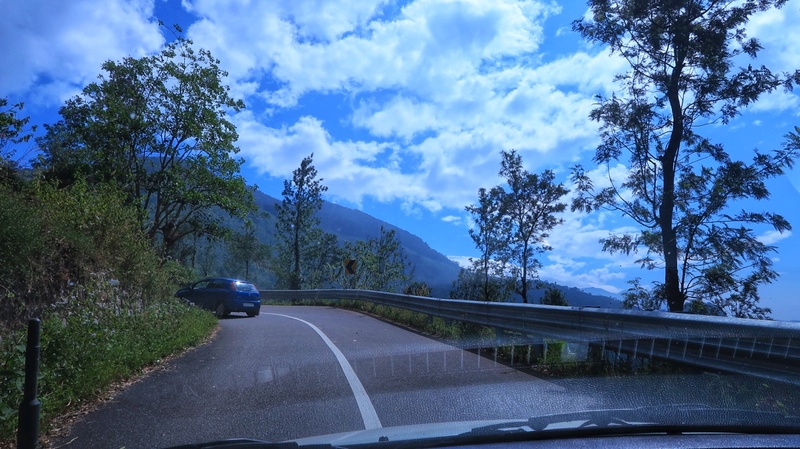 After twenty-two heroic hairpin bends accompanied with tropical vegetation on both the sides I reached Ponmudi. I was expecting more people but to my surprise it was scarce. “Good for me”, I thought and walked towards the layers of hills. 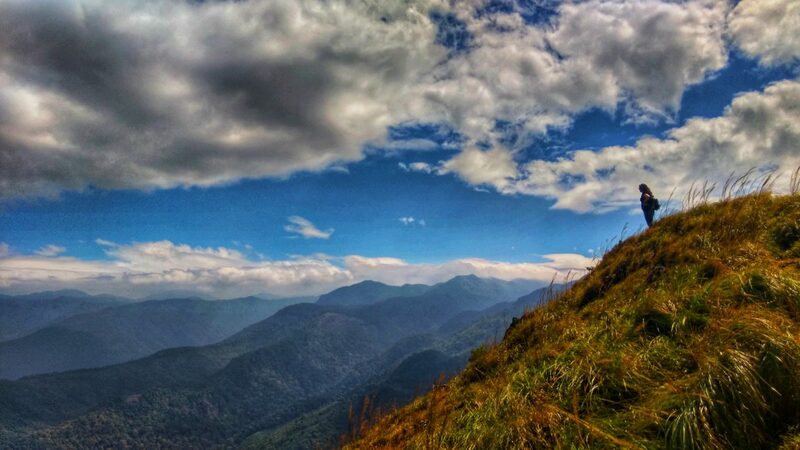 Ponmudi gets its name from the Ponmudi Peak and it is a part of mystic Wester Ghats mountain ranges. It runs parallel to the Arabian Sea and the view is exotic. The walk towards the peak was dreamy. The low hanging clouds from the bright blue sky and chilly winds made me feel like I was walking through clouds. And the walk ended with layers of peaks bearing different shades of green one after another. There were few huts with seating places and also some open air benches where you can sit and let your eyes heal. The nip in the air is comforting. You can either walk around enjoy the views from all the angles or you can just sit and rejuvenate your mind, body and soul. I claimed my share from both. After spending some time amid the luscious green Ponmudi peaks I decide to make a move. I took a quick round to lock the views and started walking back to the parking lot. And while I was a little disheartened to bid adieu to the views I was also excited again for the hairpin bends. On my way back I got to live the entire journey one more time. 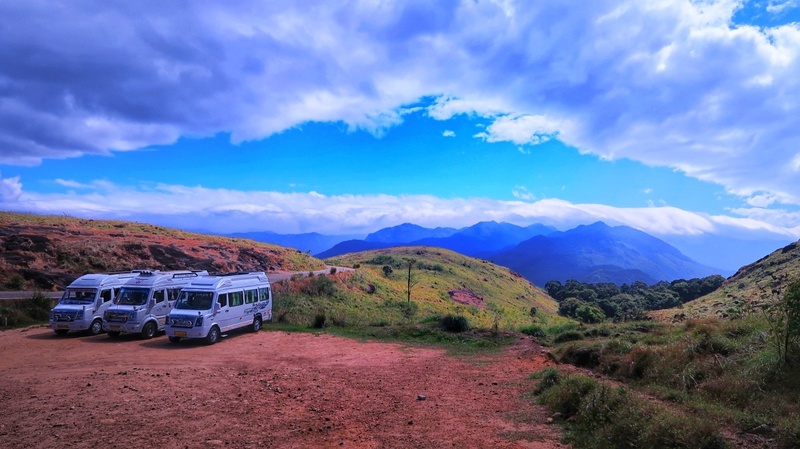 Dropping few more details around logistics and tips around planning a trip to Ponmudi. 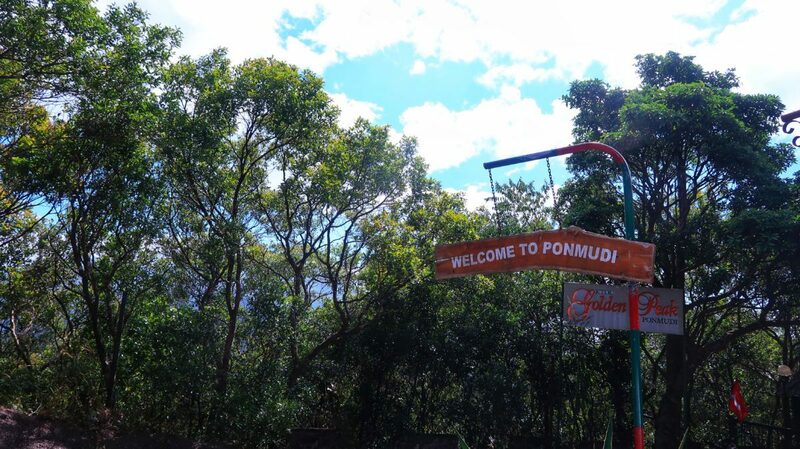 There are many attractions nearby Ponmudi and you can easily club them with your Ponmudi trip. However, I couldn’t leave those sights to see anything else but if you want you could visit Meenmutty Falls, which is just three kilometres away from the peak. If wildlife interests you then you can also visit Peppara Wildlife Sanctuary. The sanctuary is also within few kilometres so, clubbing the aforementioned attractions shouldn’t be a cinch. 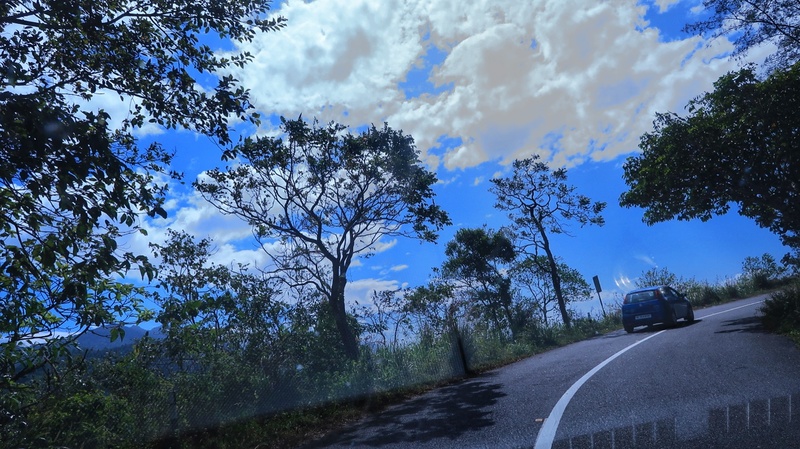 As mentioned at the outset, Ponmudi is well connected to Trivandrum by roads. You can drive down in your own vehicle or board a bus from the main bus station in Trivandrum. The nearest railway station is Thiruvananthapuram Central railway station. The nearest airport is Thiruvananthapuram International Airport (both the international and the domestic terminal). 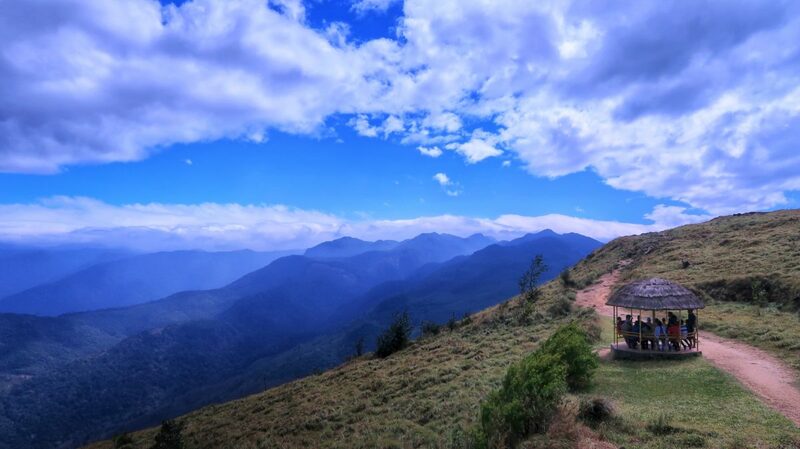 You will have to pay a nominal entry fee for yourself and your camera once you enter Ponmudi. The wind has a pleasant nip but if you feel cold easily carry something to warm yourself. There aren’t many options to eat at Ponmudi just a small canteen which has very limited options. So if you are travelling with kids, do remember to stock the eatables. This isn’t a tip rather a request, Ponmudi is impeccably clean and tidy so try and keep it that way. Don’t, just don’t litter. It is a great spot to plan a picnic with friends or family. 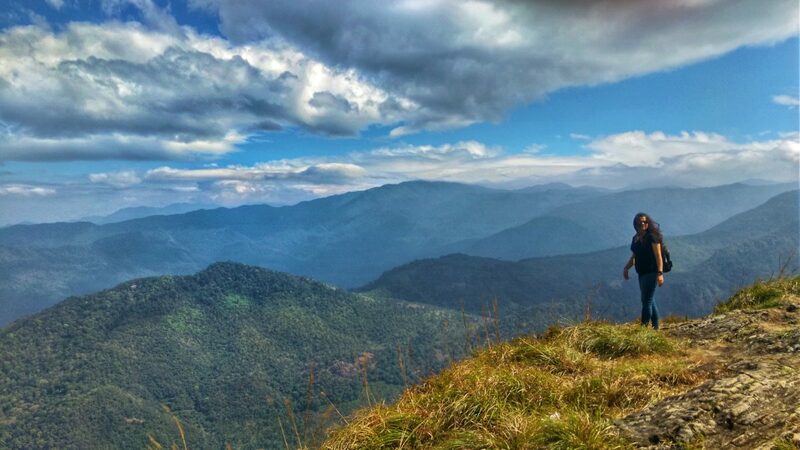 So if something like that interests you, pack up your picnic baskets and head to Ponmudi. 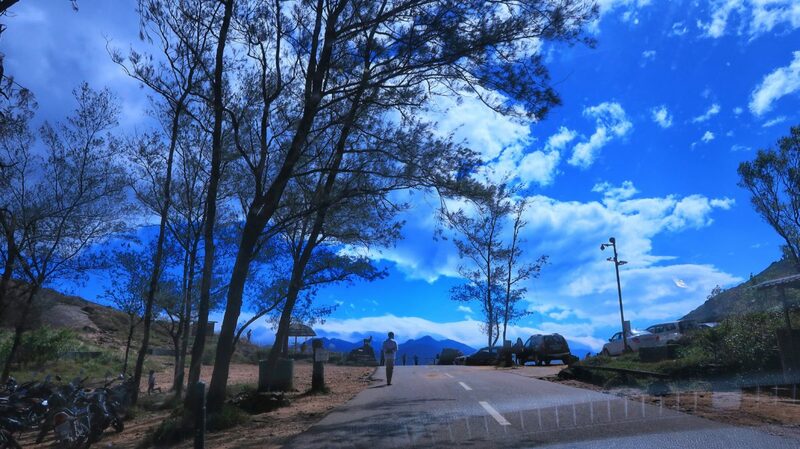 There is no good or bad time to visit Ponmudi, a hill station is beautiful irrespective of the weather and time of the year. Previous articleMirzaya: The Places We Will Go!